The Portfolio Committee was briefed by the Auditor-General of South Africa (AGSA) on its audit outcomes for the Department of Trade and Industry (DTI) for the 2015-16 financial year. AGSA had found an improvement in the DTI’s audit outcomes over a period of three years. It also noted that the portfolio’s overall outcomes had improved due to leadership and management’s implementation and monitoring of adequate action plans, which had addressed previously identified internal control deficiencies. Overall, the interventions implemented at the DTI’s entities had proved to be successful, based on the overall improvement in the audit outcomes of the entities at the portfolio level. The top three root causes which needed to be addressed were the slow response by management, instability or vacancies in key positions, and lack of consequences for poor performance and transgressions. The leadership did not always hold staff accountable for poor performance and transgressions, which created a perception that these were accepted and tolerated. The second briefing was by the DTI on its 2015/16 annual report. The Minister made a few general remarks and said that the South African economy was facing serious headwinds. In the second quarter, there had been higher than anticipated gross domestic product (GDP) growth, the manufacturing sector had performed quite credibly, and this was showing there was resilience in the economy. The diversification of the economy and industrialisation in manufacturing were very much the way SA needed to confront its challenges, and it was for that reason that delivery on the Industrial Policy Action Plan (IPAP) and Nine Point Plan for economic recovery was essential. The DTI said it had put emphasis on facilitating transformation of the economy to promote industrial development, competitiveness and employment creation. It also wanted to build mutually beneficial regional and global relations to advance SA’s trade, industrial policy and economic objectives. To achieve inclusive growth, it was set to facilitate broad-based black economic participation through targeted interventions. The DTI wanted SA to be a dynamic industrial economy that was globally competitive, characterised by inclusive growth and development, decent employment and equity, built on the full potential of all citizens. The DTI had once again received an unqualified audit report from the AGSA. There were two findings in the report, the first on the DTI’s annual performance report and the second was a non-compliance finding in respect of the annual financial statements. Both matters had been unique and technical in nature and had not been due to the DTI’s internal control systems being ineffective. Members asked whether the National Regulator for Compulsory Specifications (NCRS) was being used by the DTI as a strategic non-tariff barrier. Why had there been four consecutive increases in the South African steel price, when global prices were coming down? There was a need to promote the agriculture more aggressively as a means of encouraging growth and job creation. Were the government’s internal squabbles deterring overseas investors? Was enough being done to further black economic empowerment? Ms Lelanie Vermeulen, Senior Manager: Auditor-General of South Africa (AGSA), said AGSA had found an improvement in the Department of Trade and Industry’s (DTI’s) audit outcomes over a period of three years. It also noted that the portfolio’s overall outcomes had improved due to leadership and management’s implementation and monitoring of adequate action plans, which had addressed previously identified internal control deficiencies. Overall, the interventions implemented at the DTI’s entities had proved to be successful, based on the overall improvement in the audit outcomes of entities at the portfolio level. The top three root causes which need to be addressed were the slow response by management, instability or vacancies in key positions, and lack of consequences for poor performance and transgressions. The leadership did not always hold staff accountable for poor performance and transgressions, which created a perception that these were accepted and tolerated. The Minister had committed to developing and implementing an action plan to address all identified audit findings which would be monitored by the accounting officer, internal audit and audit committee, and escalated to the executive authority when necessary. Mr N Koornhof (ANC) asked if there was a specific reason for an aspect of the slide dealing with the status of key controls being yellow, as this was an important part of any department. Ms Vermeulen responded that the ‘yellows’ were based on all the audit findings. An area marked as yellow was to ensure that the department would look at it in the future so that if there were repeat findings, then AGSA could find it as an irregular finding, or serious matter. The AGSA could not confirm the number of students that were under the DTI funding. Ms P Mantashe (ANC) said she was concerned about knowing what consequences those who had transgressed faced going forward, and would like to see a programme of action. Mr A Williams (ANC) referred to the red block against “Programme 4: industrial development,” and asked which why AGSA had said it was not reliable. 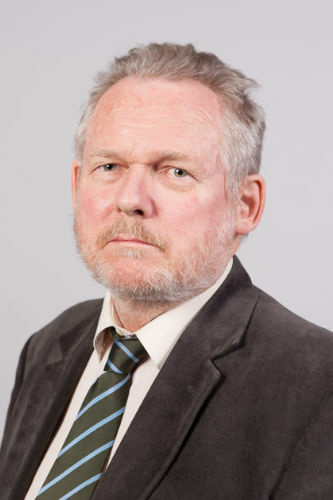 Dr Rob Davies, Minister of Trade and Industry, said this programme had been reported on last year and the DTI had received an unqualified audit. This year, the AGSA had chosen to focus on the programme and had identified there was not a breakdown between the contributions of the National Skills Fund and DTI. He wanted to meet with the audit team at the beginning of the year so the DTI could identify the issues from the onset, and the DTI would do what was required. The Chairperson said looking at the audit report, it did show an improvement and it had remained an unqualified audit. Minister Davies made a few general remarks and said that the South African economy was facing serious headwinds. In the second quarter, there had been higher than anticipated gross domestic product (GDP) growth, the manufacturing sector had performed quite credibly, and this was showing there was resilience in the economy. The diversification of the economy and industrialisation in manufacturing were very much the way SA needed to confront its challenges, and it was for that reason that delivery on the Industrial Policy Action Plan (IPAP) and Nine Point Plan for economic recovery was essential. He thought that IPAP had had a good impact on the performance of manufacturing sector, and that if it had not been implemented, SA would have been in a worse position. SA needed to generate employment, as the programmes in the manufacturing sector outpaced job growth, but that was linked to technological changes and automation. Mr October briefed the Committee on the annual report, and at the outset outlined the economic context, the DTI’s strategic goals and objectives, key achievements and financial performance. As part of the DTI’s strategic imperatives, its objective was to grow the manufacturing sector to promote industrial development, job creation, investments and exports. The DTI had put emphasis on facilitating transformation of the economy to promote industrial development, competitiveness and employment creation. It also wanted to build mutually beneficial regional and global relations to advance SA’s trade, industrial policy and economic objectives. To achieve inclusive growth, it was set to facilitate broad-based black economic participation through targeted interventions. The DTI wanted SA to be a dynamic industrial economy that was globally competitive, characterised by inclusive growth and development, decent employment and equity, built on the full potential of all citizens. Globally, there had been a slowdown in growth and a decline in mineral commodity prices from 2012. The steel industry had experienced a fall in demand and prices, and currently there was a glut of steel in the global economy. According to the International Monetary Fund (IMF) growth forecast for 2016, SA’s growth was forecast at 0.1%. The manufacturing sector continued to cushion the economy against a possible technical recession. The GDP had rebounded strongly in quarter 2 of 2016 after having contracted by 1.2% in quarter 1. In quarter 2, GDP had grown by a robust 3.3%, underpinned by the manufacturing sector’s growth of 8%. The manufacturing sector’s growth had been consistent and played an increasing role within the economy. The mining sector also grew strongly, at 11%, having contracted by 18% previously. The rate of contraction of agriculture had slowed, although the effects of the drought were still being felt, but the worst might now be over. Business confidence was improving as per the Barclay’s Purchasing Managers’ Index (PMI). The performance of the rand against the US dollar had impacted negatively on the manufacturing sector, as the weak rand had meant that production costs were higher. Production capability had also been constrained from 2013 as a result of the power supply outages, which had compelled manufacturers to reduce production given the insecurity of power availability. SA exports to the world were rising, and had increased to R294 billion in the second quarter of 2016. There had been a revival in terms of manufacturing exports. In the second quarter, SA had registered a trade surplus of R23 billion. In terms of the impact on jobs, between the third quarter of 2010 (lowest turning point) and the fourth quarter of 2015, 2.3 million net new jobs had been created. However, given the youth bulge, 3.2 million (mainly young) people had entered the labour market, thereby reducing the impact on unemployment. In quarters one and two of 2016, almost 500 000 jobs had been lost, mainly in trade and community services. The DTI wanted to facilitate transformation in the economy in order to promote industrial development, investment, competitiveness and employment creation. It had created more than 20 designations for local procurement over five years. Under the ‘locomotive’ designation, Aberdale Cables had launched a new production line within its plant in Pietermaritzburg, KwaZulu-Natal. The line, supported by the DTI designation programme, was specifically designed to manufacture locomotive cables for the Passenger Rail Agency of SA (PRASA) and Transnet. The DTI incentives had played a huge role in industrial development in SA. As part of its goal to build mutually beneficial regional and global relations to advance SA’s trade, industry, industrial policy and economic development objectives, the DTI had launched the Tripartite Free Trade Area in Egypt last year. A significant amount of trade leads had been generated through national pavilions, trade missions, and investment and trade initiatives (ITIs), resulting in 833 leads being disseminated to SA exporters, exceeding the annual target of 650. The DTI had assisted 2 202 companies that had benefited from phase 4 of the Global Explorer Passport Programme, against a target of 1 000. The SA-Saudi Arabia Joint Commission had been held in March 2016 to provide a stronger platform for export and investment initiatives with Saudi Arabia. It had launched a R5 billion solar power plant in the Northern Cape. The Coega Development Corporation had signed a historic R11 billion investment in August with BAIC, the Chinese vehicle manufacturer, which was the biggest automotive investment in Africa in the last 40 years. The Guidelines for Good Business Practice for South African companies operating in Africa had been approved by Cabinet in September 2015. There was a lot of work to be done for Black Economic Empowerment (BEE). The DTI had launched the system for issuing Broad-based Black Economic Empowerment (B-BBEE) certification for exempted micro enterprises at the self-service terminals of the Companies and Intellectual Property Commission (CIPC) in April 2015. This would enable those who were registering private companies through the terminals to also register B-BBEE certificates. The amended Codes of Good Practice had come into operation in May 2015. The Cabinet had approved the Black Industrialists Policy in 2015, and it had been launched in December 2015, including guidelines and application forms. The DTI had once again received an unqualified audit report from the AGSA. There had been two findings reported by the AGSA in the audit report. The first finding was on the DTI’s annual performance report and second finding was a non-compliance finding in respect of the annual financial statements. Worth noting was that the above matters were unique and technical in nature, and were not due to the DTI’s internal control systems being ineffective in producing an accurate and complete set of audited financial statements. In terms of the DTI’s key achievements in quarter one, SA had hosted the first ever United Nations Procurement Summit, which helped facilitate opportunities for local service providers. The building of thermal test chamber for transport refrigeration had commenced. There had been 28 film productions, with 1 107 jobs projected to be created. The DTI had facilitated about R2.49 billion worth of export sales. The SA Development Community (SADC)-European Union (EU) Economic Partnership Agreement (EPA) had been signed in June 2016. The DTI was working intensely on an oil and gas industrialisation drive, and had participated in the Houston Oil and Gas Expo and the Bio International Convention in Los Angeles in May 2016. SA was putting a concerted effort into expanding and diversifying south-south cooperation. The SACU-Mercosur Preferential Trade Agreement had been ratified by all countries. It had entered into force from 1 April 2016, providing new market access for South African products covered by the agreement. Mr G Hill-Lewis (DA) asked the Minister to explain what he meant about the phrase ‘new approach by institutions responsible for technical specifications,’ as the Minister was aware there was concern about the growing perception that the National Regulator for Compulsory Specifications (NRCS) was being used by the DTI as a strategic non-tariff barrier. Secondly, he asked about trade facilitation and services, and detail on progress achieved in those discussions during June last year. Thirdly, he mentioned that there was a glut of steel in the global economy and said that despite that, SA had had four consecutive price increases -- even in the context of a global over-supply of steel. He asked the DTI to provide specific feedback on progress in terms of steel policy and the progress of price negotiations in South African context. Finally, he said the Committee had been pestering the DTI for the caps on Credit Life. These had not been forthcoming, and the area was of great concern. He asked the DTI to finalise these issues and provide feedback. The Minister responded that before IPAP, the role of technical infrastructure institutions was in the background and it was not clear how they related to industrial policy. The role of technical infrastructure was to lock in SA exports through acceptable standards, and that was the work of the SABS, and to lock out of SA products that were unsafe and harmful which were to the detriment of local companies that complied. In that regard SA had two institutions, SABS which was setting standards which through that work would enable SA exporters to be able to export into markets according to standards that were required. As far as the NRCS was concerned, it had to set compulsory minimum standards and enforce those standards. The setting of the standards was driven by the interest of consumers and interests of product safety. 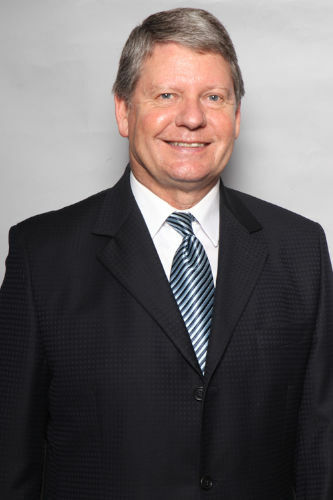 Mr N Koornhof (ANC) asked if the DTI was doing enough for agro-processing to encourage growth. He felt that in a country which relied on agriculture, not doing enough was being done. Was there perhaps something in the pipeline? He referred to the Promotion and Protection of Investment Act, and asked if there had been any negative feedback on the act. The Minister responded that agro-processing and agriculture was one of the areas that had been identified as something in the nine-point plan where the DTI could deliver fast job outcomes. The DTI had its incentive programmes. He was not aware of any investment that had been withheld as a result of the Promotion and Protection of Investment Act. Mr October agreed that the agriculture sector had not enjoyed prominence, but as part of the nine-point plan, the DTI had brought it to the centre. The DTI had put in place a programme to revive and develop new agriparks, and was working with the Department of Agriculture. Mr D Macpherson (DA) asked the Minister what his response was to the unsettling political environment in SA -- the internal political wars and how that was affecting SA’s image as an investment destination. He then mentioned the investment in renewable energies, and government taking a confirm decision that SA was going down the road of independent power producers, and then EsKom refusing to sign an agreement to purchase that independent power production in SA. What had been the response of those investors, and had anyone asked for the Minister’s intervention at Cabinet level? What had been his action or response to the Eskom CEO’s potential threat to independent power and investment in SA? He raised concern that Arcellor Mittal’s steel prices had remain unchanged in September, and said that it did not make sense as prices were going down globally. He asked if the Minister was prepared to refer this to the pricing committee and get an answer from Arcellor Mittal as to how they had come to these conclusions. The Minister responded that the leaders had spoken energetically about not being seen to be a government at war with itself. He had not heard of any investment not coming into SA because of the various incidents. In the case of renewables, he had received a letter from a company that was now re-considering whether to be part of it, after hearing the remarks. Mr A Williams (ANC) asked what percentage of the reported industrial development was black-owned and controlled, and to what extent had the DTI facilitated transformation? He did not think transformation was taking the centre stage it should take. The Minister responded that radical economic change had to be two things, if one tried to have one without the other, then one weakened the other leg. The new BEE legislation introduced the need to score points in supply procurement and skills development. The DTI wanted to develop productive black industrialists. Ms P Mantashe (ANC) said she had made an application to register a cooperative with the CIPC, and she had been impressed with the period it took to register it. She was passionate about the industrial plans and asked when the rest of the industrial parks would be launched, as the Minister had spoken of only one being launched, and SA could not wait for industrial development any longer. She asked how the allocation of funding worked in the black industrialists’ scheme. Regarding the targets that had not been met, she was worried about the DTI not moving very fast on its employment equity, based on the statement that the DTI had not met the 50% target. She asked when the DTI would comply because under ‘administration,’ it was sitting at 49% and it should be 50-50 -- that was the policy of the government. The Minister responded that he was pleased that Ms Mantashe had received good service from the CIPC. The DTI was reducing the time it took to register a company. He said the DTI had received an award and it was not a department that was performing badly. The Chairperson referred to SA hosting its first United Nations Procurement Summit, and said it would be useful if the DTI, through the DG, communicated the pertinent points. Mr Garth Strachan, Deputy DG, DTI, said that he thought there might be some misunderstanding when it came to steel. There was a wide range of steel products, and there were a lot of steel products with no tariffs. It was not the case that the price of all steel products had dropped recently, as some had increased. He was confident that the range of policy measures the DTI had put in place had not only saved the primary steel industry in SA, but had also eased the pain of downstream manufacturers. Mr Hill-Lewis said he agreed with the Minister’s comments on the NRCS. What was the DTI’s policy position on the request for a 30% tariff protection -- was it going to support, or not support, the request? He wanted a follow up on progress to payments of suppliers. What progress had been made at Cabinet level to convince other departments to follow suit? He asked for a progress report on which departments were making progress and which were regressing. The Minister responded that he was not aware of any application being made, but it had to follow processes. It went through the International Trade Administration Commission (ITAC) first. Mr Macpherson said the Cabinet Lekgotla had made it very clear that independent power producing was going ahead. The comments by the Eskom CEO had come after the Lekgotla. He found it very hard to believe that the government’s in-fighting was not worrying international investors. He asked if the Minister conceded the point that if the broader government was unstable, that should cause broader concerns with investors. The Minister responded that he was not informed of any investors who had come forward and said that because of the disagreements, they were not investing in SA. Mr Williams referred to the AG’s findings under leadership, where there was concern about the effect of HR management on record keeping. He knew there was no money missing, but if the DTI had ineffective HR management, that was a problem. He said there would be very little economic transformation unless transformation was put in the centre. What, in real terms, was the percentage when it came to businesses that had benefited from transformation? The Minister responded that he was hearing about the management issue for the first time. He also wanted to know what the AG was talking about.